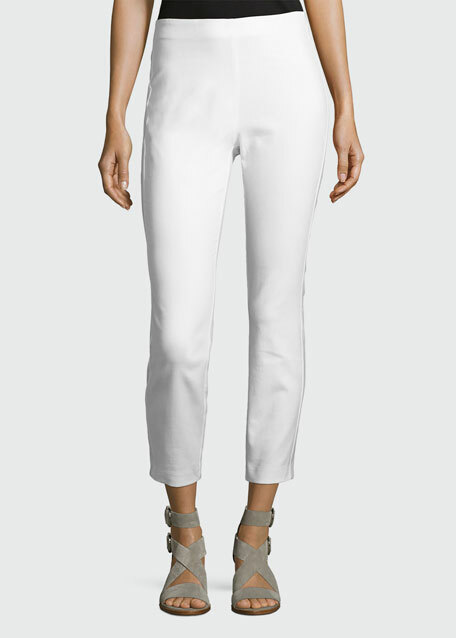 Rag & Bone "Simone" pants in cotton blend. Approx. measurements: 11" rise; 26" inseam; 37" outseam; 6.5" leg opening. 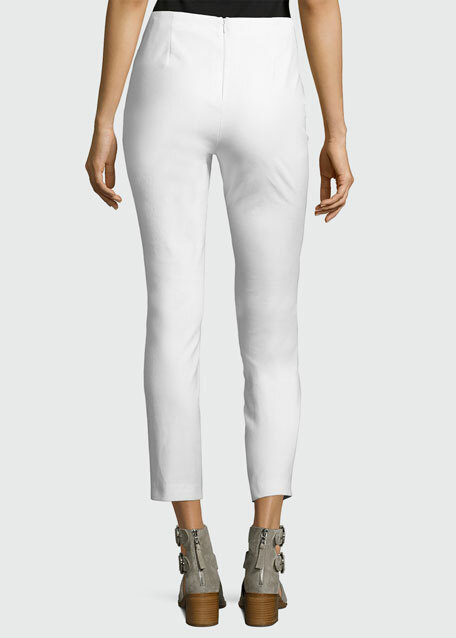 Fitted through skinny, tapered legs. 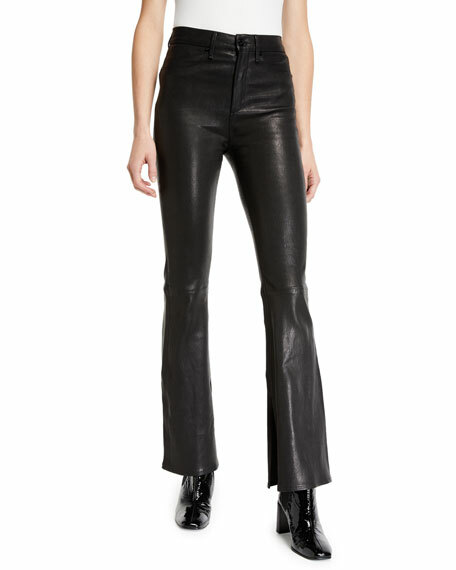 rag & bone/JEAN "Bella" pants in lamb leather. Approx. measurements: 10.5" rise; 32" inseam; 21" leg opening. High-rise; belt loops. Button/zip fly. Five-pocket style. Fitted through thighs. Boot-cut legs. Split inseams. Full length. Imported. Exclusively ours. 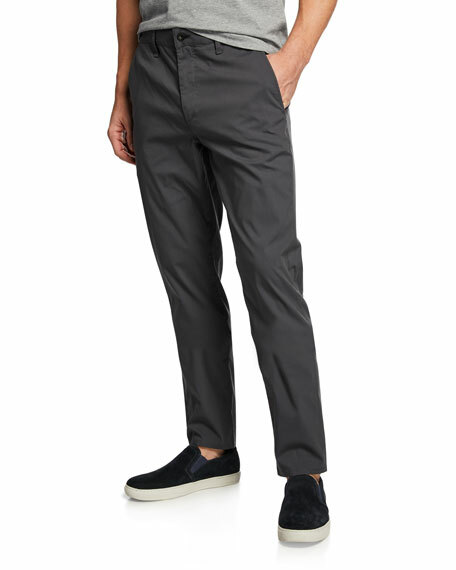 Rag & Bone "Fit 2" pants in flyweight stretch-chino. Quarter-top pockets; back besom pockets. Mid rise. Relaxed fit. Slim-straight legs. Button/zip fly; belt loops. Cotton/nylon/spandex. Made in USA of imported material. 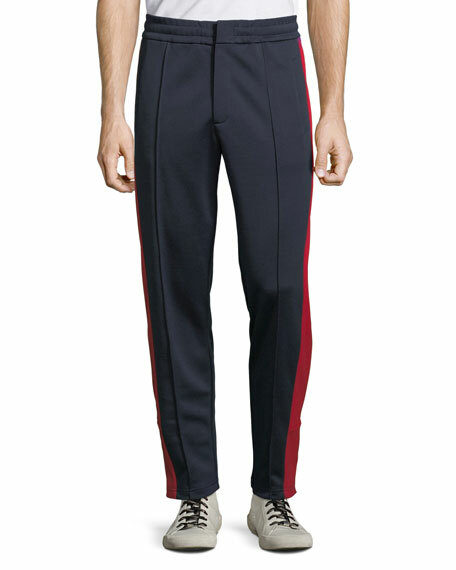 Rag & Bone track pant with striped taping along outseam. Side slip pockets; back zip welt pocket. Elasticized band sits at waist. Hook/zip fly. Pull-on style. Polyester. Imported. Exclusively ours. 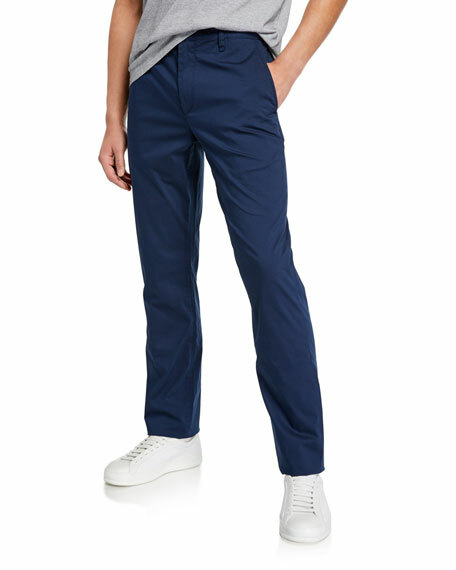 Rag & Bone Standard Issue Fit 2 chino pants. Front slant pockets; back welt pockets. Mid rise. Regular fit through hip and thigh. Slim fit through straight leg. Button/zip fly; grosgrain belt loops. Cotton/nylon/spandex. Made in USA.